In handheld mode, you can play Nintendo Switch games with both Joy-Con controllers attached to the console. To attach them to the console, align them with the rails on either side of the console, then slide them down until you hear a click. Be sure to attach the Joy-Con controllers correctly. Make sure you attach the right and left Joy-Con controllers to the corresponding sides of the console. The left Joy-Con has the − Button and the right Joy-Con has the + Button. You can pair the Joy-Con controllers to the console by attaching them once. Then you will be able to use them while detached from the console. 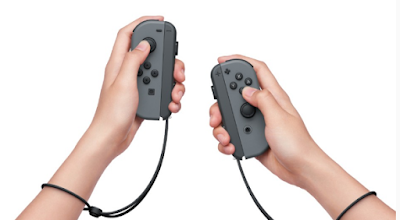 Up to 10 Joy-Con controllers can be paired to each console at a given time. Detach the Joy-Con controllers from the console to play Nintendo Switch in TV mode or tabletop mode. To detach a Joy-Con, hold the release button on the back of the controller, then slide it up. 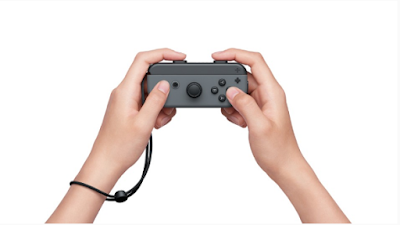 The Joy-Con controllers will remain paired when you detach them from the console, and you'll be able to use them wirelessly. If they run out of battery, attach them to the console when it's charging to recharge them. Can I detach the Joy-Con controllers and use them with another console? Each Joy-Con can only be paired to one console at a time. 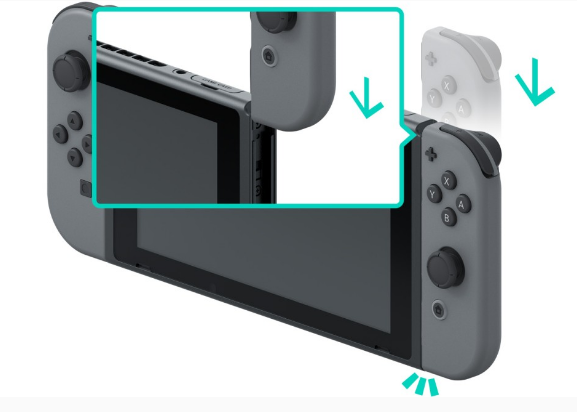 To use a paired Joy-Con with a different console, you must attach the Joy-Con to that console to pair it. 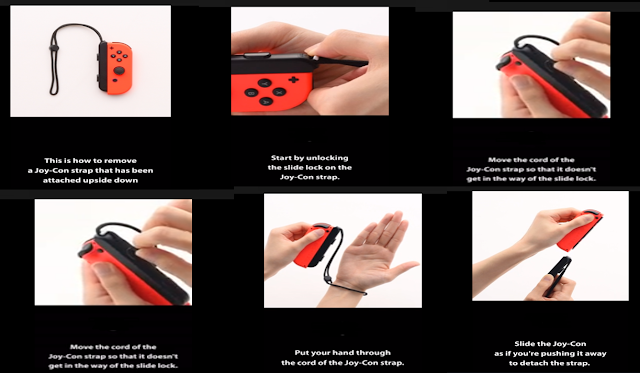 You will need to do this again each time you'd like to change what console you are using the Joy-Con with. You can use Joy-Con strap accessories when you are playing with the Joy-Con controllers detached from the console. You can attach the left and right Joy-Con controllers to a Joy-Con grip to use them as a single controller. There's also a Joy-Con grip that can charge your Joy-Con controllers. 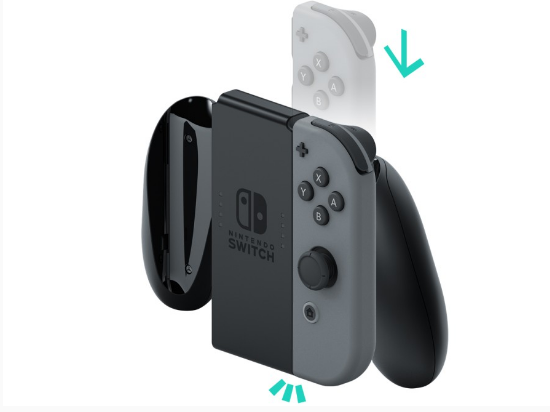 In addition to the normal Joy-Con grip included with the console, there's also a Joy-Con charging grip (sold separately). 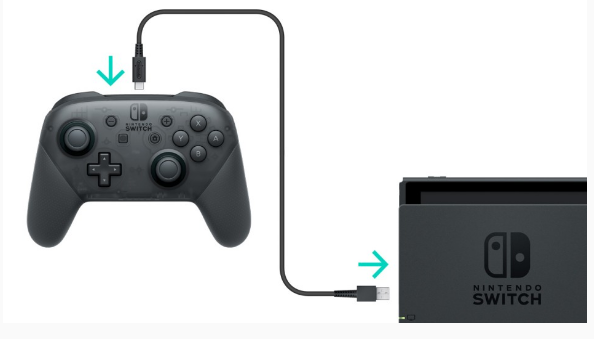 If you have the charging grip, connect it to the Nintendo Switch dock using the USB charging cable (HAC-010) to charge the Joy-Con controllers. This way, you can play Nintendo Switch while the controllers are charging. How to Charging the Joy-Con controllers read here. Unlock the slide lock before removing the accessory. You may damage the slide lock if you try to remove the accessory before unlocking it. 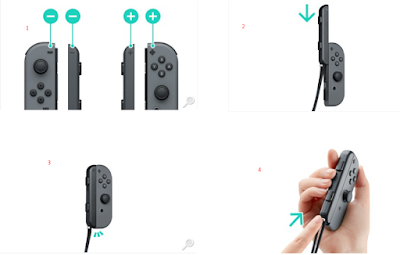 You can attach the left and right Joy-Con controllers to the Joy-Con grip to use them as a single controller. 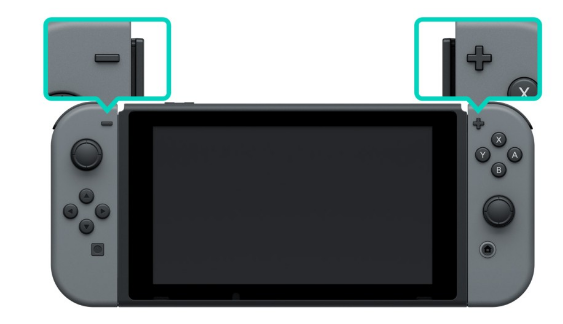 Remove the Joy-Con controllers from the console and slide them down the rails on either side of the Joy-Con grip. Hold down the release buttons on the backs of the Joy-Con controllers and pull them up. You can use one Joy-Con to control the console, or both at the same time. 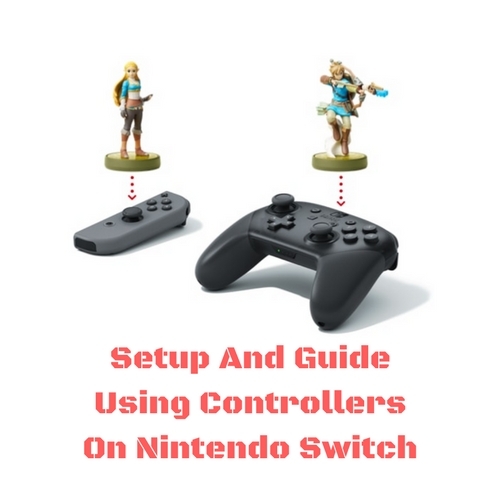 The way you hold them can change depending on the game you're playing, so here's an introduction to the ways the controllers are most commonly held. Both controllers are held upright, offering lots of buttons and the ability to move the controllers independently of one another. 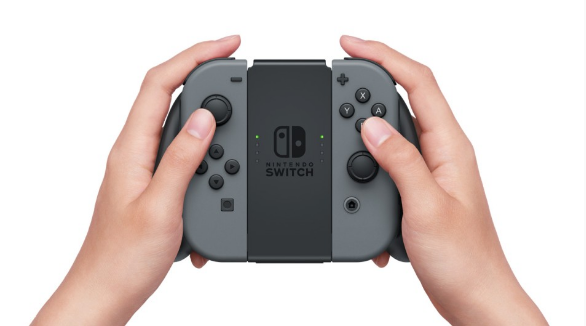 A controller is held upright in one hand. One-handed button and motion controls are available. 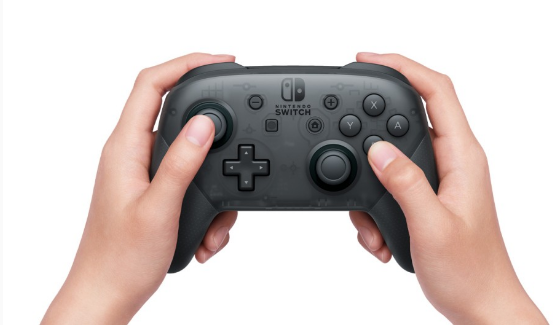 A controller is held horizontally in both hands. Some games may involve you tilting the controller.